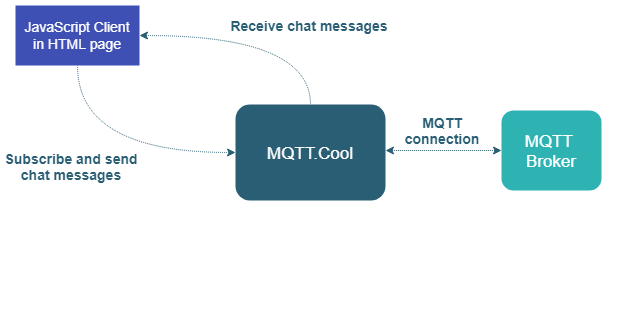 A chat application, which shows a basic usage of the MQTT.Cool Web Client API to handle communications with MQTT.Cool. Launch multiple instances of the demo to simulate more users if nobody is online. 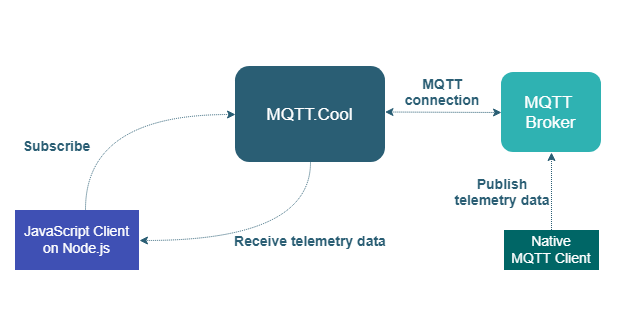 A real-time application, which shows how MQTT.Cool can be used to send telemetry data through the Web and how incoming update flow can be further manipulated in terms of bandwidth and frequency. Node.js version of the Hello IoT World demo, which shows how to use the MQTT.Cool Node.js Client API to interact with MQTT.Cool. 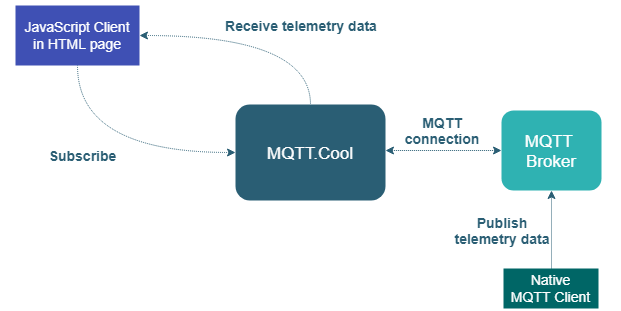 A real-time application that shows how MQTT data can be dynamically throttled in terms of update frequency and max bandwidth. Simulated IoT sensor are provided by MIMIC MQTT Simulator. 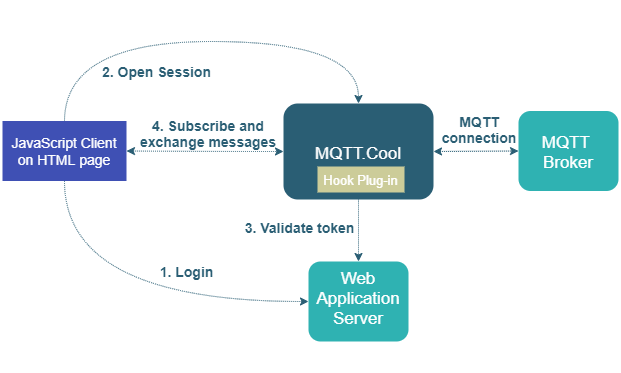 A simple MQTT.Cool Java Hook example, illustrating the flexibility of the authentication and authorization mechanisms of MQTT.Cool.